MK Zahava Gal-on, the latest “martyr” for the left, isn't important enough to be "threatened" by the right, says MK Michael Ben-Ari. 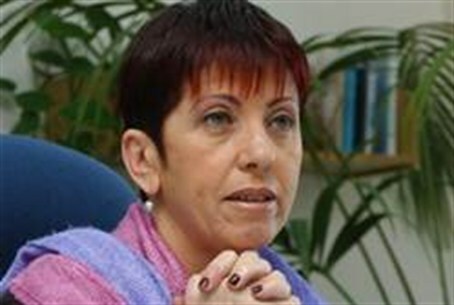 MK Zahava Gal-on (Meretz) is the latest “martyr” for the left, claiming that her life has been threatened, and that she needs a battery of publicly-funded police and Knesset Security officers to provide her with round-the-clock protection. In a statement, Gal-on's office said that the threats were “another stage in the attack of the right against the left.” Gal-on, however, will not be intimidated, and will brave through the crisis despite the “dangers,” the statement said. Police contacted Gal-on in recent days and informed her that she was the target of an alleged plot to be carried out by unknown individuals to harm her in an unspecified manner. On this basis police decided to assign her a security detail, protecting her from the supposed danger. It should be noted that police did not tell Gal-on where the alleged threat emerged from; the MK assumes that it is “right wing groups” who are behind them. MK Michael Ben-Ari (National Union) slammed the story Saturday night. “This is just another provocation by the left,” Ben-Ari said. “Gal-on is a negligible Knesset member who has absolutely no influence on anything. It's not clear who would want to hurt her. If there are really any threats against her it is most likely due to internal power struggles in Meretz,” he added. Peace Now and other leftist activists have in recent days also filed complaints that they had been threatened as well.